As some of you already know, I live in hot and humid Singapore. I was actually wondering if this cream would be good to use in such a humid place in Singapore, and I’m one to dislike heavy-weight creams, causing like a greasy wet film over my skin that doesn’t dry or gets absorbs easily into my skin. But yet, my skin requires the moisturising so it gets really irritating when I can’t seek a balance in this aspect. 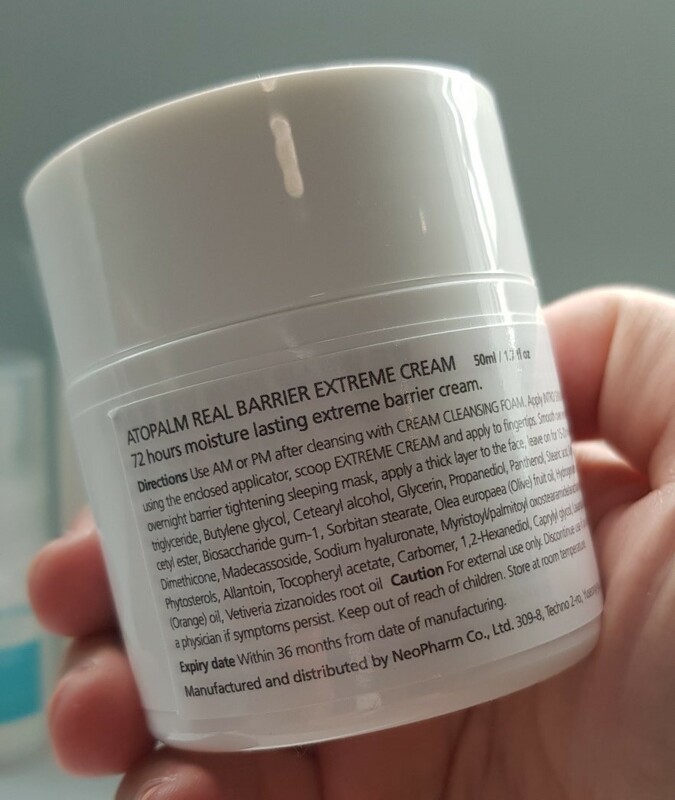 So, I was not sure if I’d accept this cream from Atopalm at first but decided to when they approached me as I’ve heard some good stuff about it. Thank goodness I did – and I’m not saying it cos it was given to me or anything. In fact, I did a test of this product in 2 different environments, which I’m going to share very shortly. Before I start though, FYI, my skin type belongs to the normal and combination type, as some of you who always read my beauty posts know already. Remember how I say you all should always start off with a patch test first for every beauty product, right? Please do so, because it’s always safer to do that. Different people have different reactions to certain products, so even if it’s claimed by many to be safe, you have to make sure its essentially suitable for your own skin type, okay! Okay, enough with the preaching, you guys know this far too well already, right? I perspire a lot, and I hate it when my cream doesn’t get absorbed fast enough (especially in the mornings when I’m rushing off to work). I usually rush through my morning routine because I’m such a sleepyhead that I wake up just in time to get prepared for work - usually within 30 minutes. Summary – the cream passed the test. It was moisturising and yet contained the right amount of moisture for this climate. It absorbed fast and I was able to apply my makeup very quickly (usually I let my creams rest on my face for 5 mins or so: absorption time). Totally comfortable and hydrated, I would continue using this cream in Singapore! Honestly, I’ve tried many creams in my multiple trips to Korea in their cold weather. This cream was one of those which truly got absorbed quickly. Many times I thought that I was underapplying because the film left on the skin was so thin that I wondered if the amount I used was actually really enough to protect my face (due to the harsh harsh winds I encountered in Jeju). 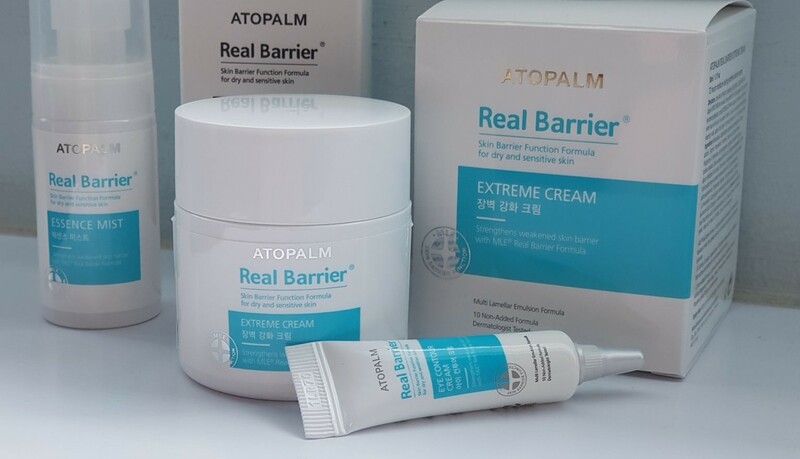 Normally my skin would be rough and start to flake a little by the 3rd day that I’m in Korea, but throughout my trip (which saw me using this cream) – NO PROBLEMS AT ALL. My skin was not rough nor did it flake even a little. I was very pleased, seriously. 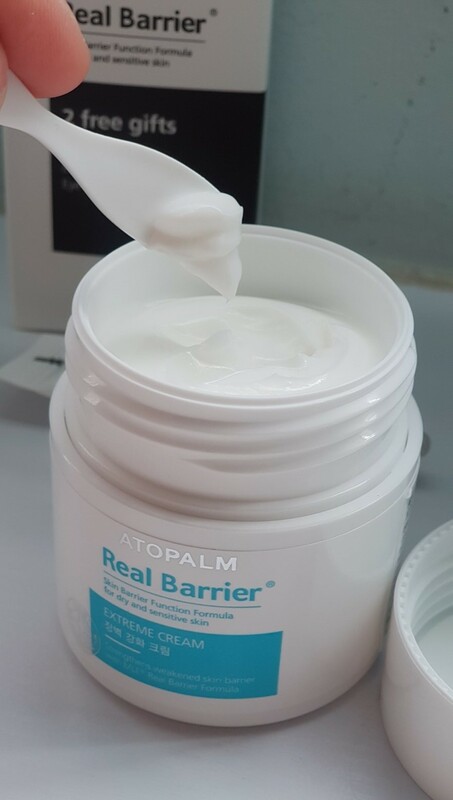 I don’t have the professional tools to test if they were really repairing my damaged skin barrier or not, but all I can say is that it did provide me a good balance I was looking for in my moisturiser. 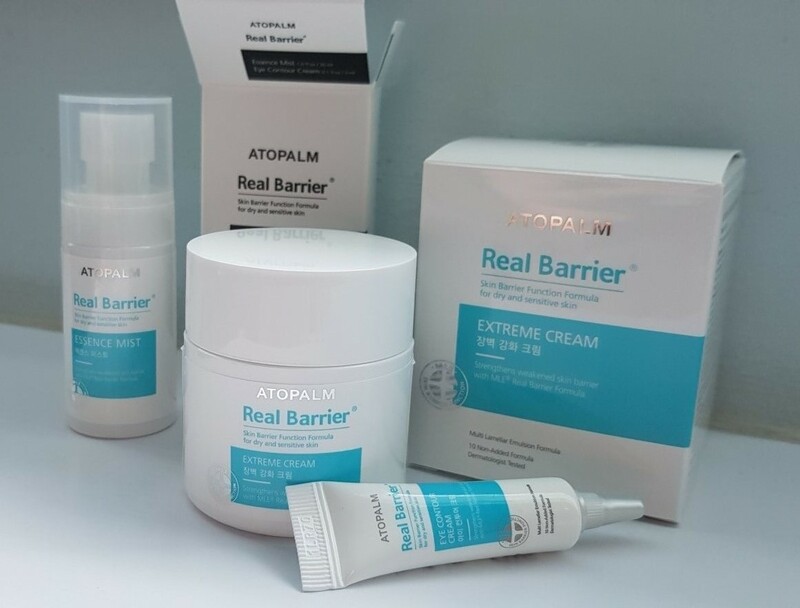 I was also quite glad to read further into the ingredient list and find that they have this patented ceramide complex and an MLE skin barrier formula which recreates skin compounds and structure similar to real skin, thereby strengthening weakened skin barriers and also being able to extend the moisturising effect up to 72 hours. That said, it doesn’t mean you should only apply the cream every 72 hours, since you’ll definitely be washing your face and all within the day, right? Haha! Anyway, this cream (under the ‘Real Barrier’ line) was previously only exclusive to the US only. But now, you can try this out for yourself by getting it from Watsons Singapore, retailing for SGD$44. The packaging comes in a clinical looking white plastic jar (not as pretty as the other brands you find out there, but not forgetting what it contains is ultimately the most important!). You’ll have 50ml worth of content per product. Also, did I also mention how this formula doesn’t contain a lot of the bad stuff they put in cosmetics and skincare out there? I read that some people say the scent of this product is dreamy and nice smelling, but strangely I wasn’t able to smell anything when I used it leh! Is it my nose got problem? HAHA. Mainly, I do approve this product because my skin did flake less and was not that dry as when I visited Korea with the other moisturising products. So, yes, love it, get it people! If you want to find out more about this product, get details on its official USA website here.